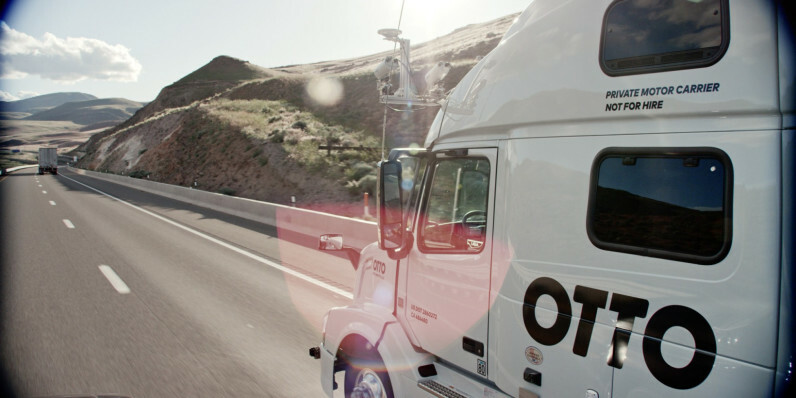 In May, Otto, a new venture co-founded by former Google Maps product lead Lior Ron, announced that it was developing an aftermarket self-driving kit for freight trucks that could potentially double their utilization and increase safety. The company was acquired by Uber in August for $680 million, and the cab service company is now gearing up to offer trucking services to logistics companies. In an interview with Reuters, Ron said that Otto will expand its fleet of trucks from six to 15 and begin hauling cargo to warehouses and stores as early as next year. To be clear, that doesn’t you’ll seen an 18-wheeler flying down the freeway with an empty cab; Otto trucks always have a driver and an engineer on board. Back in May, Otto said that its self-driving kits are intended for use only on freeways. However, Uber is also deploying navigation, mapping and tracking technologies for truckers’ needs in its current testing phase. Otto believes its range of high-tech tools and services can help bring down the costs involved in logistical operations and help Uber enter the $700-billion-a-year trucking industry. Ron noted that the company is already working to seal deals with a few shipping partners to haul all kinds of good except for hazardous materials. That should help Uber further test its technology – and perhaps fine-tune its business models to suit the requirements of logistics companies.